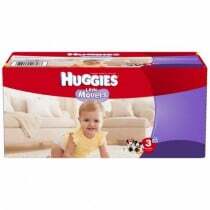 Choosing the correct disposable diapers for your child can be contingent on several different factors. 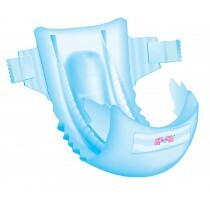 Disposable baby diapers are designed to make changing your child's diaper simple, easy and hassle-free. 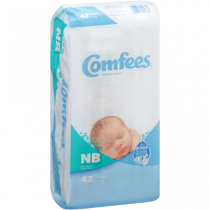 When choosing disposable baby diapers for your child, take into consideration the following characteristics: absorbency, wicking capabilities, size and backsheet material. 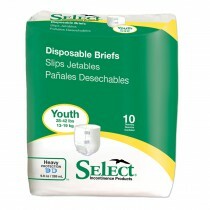 All of these factors can help you choose the correct disposable diaper for your child. 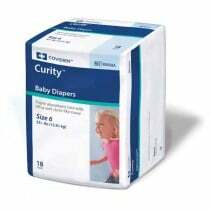 Absorbency: A non-woven top layer known as a hydrophilic surface is a soft, tissue-like material (although much sturdier than tissues) that is in direct contact with a baby's skin. This layer of material allows liquid to to flow into the center core of the diaper and remain there to effectively guard against leaks. This center core, which holds liquid, is comprised of a fluid-absorbing polymer. The water-absorbing polymers contained within this layer of fluff material determine the amount of liquid that a diaper may absorb The flow dynamics within the core of the diaper prevent liquids prevents water from returning to the surface, which can often cause diaper rash and/or irritated skin.In addition to the hydrophilic surface area, you might find is the hydrophobic non-woven sheet. A hydrophobic non-woven sheet is used as a top sheet for the leg cuffs and prevents water from passing back through to the surface of the diaper. 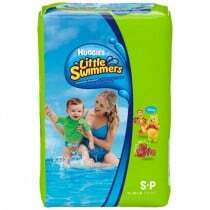 Smaller sized diapers (sizes Preemie, 1 and 2) will have lower levels of liquid-absorbing polymer albeit higher levels or fluff, whereas toddler-sized diapers (3 and above) will have higher levels of liquid-absorbing polymers in ratio to the amount of padding/fluff that they contain. Overnight diapers will have the highest amount of liquid-absorbing polymers, and are ideal for toddlers who have high amounts of urine output overnight. Once your child has moved on to potty training, you will most likely switch to pull-ups (which are indicated for potty training), which have a very low-level of liquid absorbing polymer. 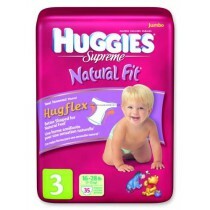 Cellulose: Cellulose is used in the construction of the diaper and gives the diaper its ability to absorb liquid. The normal absorbency for cellulose pulp is around 10 cc of liquid per gram of cellulose pulp, although this can be reduced to 2 cc when the cellulose is subjected to excess pressure. 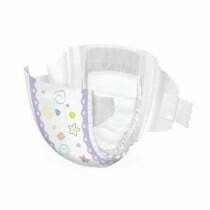 Disposable Diaper Back Sheet: The backsheet to a disposable diaper usually has a cloth-like look that is created with the use of a thin, polypropylene non-woven sheet. 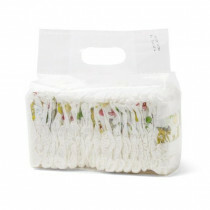 Although the backsheet of a disposable diaper may look like it's constructed from cloth, it is actually made from plastic. This plastic material prevents excess liquid from leaking out of the diaper and onto a baby/infant's clothing. 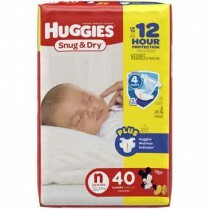 Some disposable diapers have backsheets with wetness indicators, such as Huggies Little Snugglers Baby Diapers. This wetness indicators alerts caregivers as to when the diaper needs to be changed.